Organizations of all sizes have been plagued by sophisticated attacks that evade traditional signature-based defenses, resulting in the loss of personal information, millions of dollars, and permanent reputation damage. 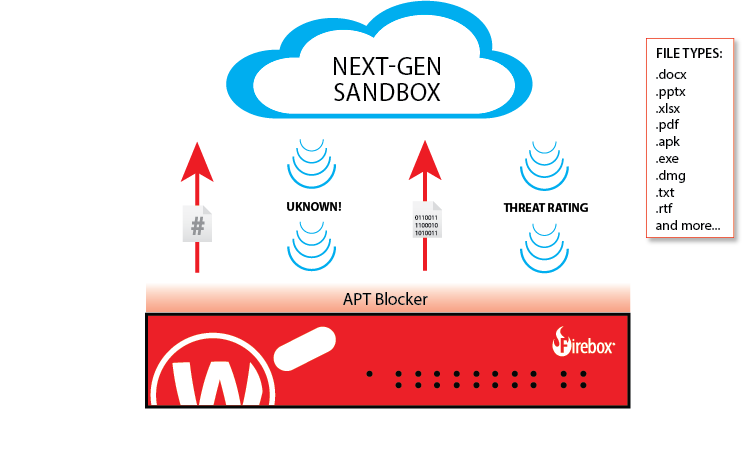 WatchGuard APT Blocker puts a stop to these fast moving and persistent threats by using a next-generation cloud sandbox that simulates physical hardware, exposing malware designed to evade traditional network security defenses. As threats continue to evolve and become more complex, there is not one technology that can provide complete threat protection on its own. That’s why at WatchGuard, we take a layered approach to network security, continually staying ahead of the evolving threat landscape with a suite of powerful security services. Signature-based defenses are still critical as a first line of defense, eliminating known threats at the gateway. * However, you still need last-mile protection against unknown attacks that make it past the first layers of security. 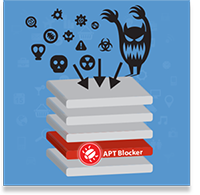 That’s where APT Blocker comes in, providing your next level in advanced malware detection and prevention. 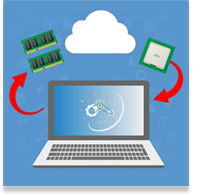 WatchGuard APT Blocker focuses on behavioral analysis to determine if a file is malicious, identifying and submitting suspicious files to a cloud-based sandbox where the code is emulated, executed, and analyzed to determine its threat potential. If the suspected file is found to be malicious, APT Blocker quickly takes action to ensure your network and digital assets stay secure. 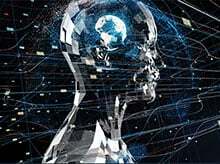 Modern malware, including advanced persistent threats, ransomware, and zero-day attacks, are designed to recognize and evade traditional defenses. 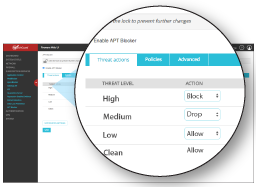 APT Blocker’s full system emulation – which simulates physical hardware including CPU and memory – provides the most comprehensive level of protection against advanced malware. WatchGuard APT Blocker not only provides comprehensive protection against advanced malware, it does with a simple and intuitive user interface. From the management console, you can access easy-to-use controls that enable you to allow, drop, block, or quarantine by severity level, as well as set customized notifications for when APT Blocker detects a threat. Gain complete visibility into the advanced threats attempting to attack your network, including the protocols used, threat IDs, sender source, and the specific types of malicious activities that would have happened if APT Blocker did not take action. 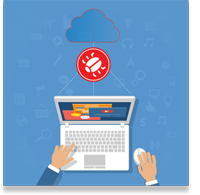 WatchGuard APT Blocker works in tandem with WatchGuard Gateway AntiVirus for the ultimate solution in detecting and preventing advanced malware. If the file passes the Gateway AntiVirus* scan, a hash of the file is sent to the APT Blocker cloud sandbox to determine if it is a known threat. If the hash of the file is not recognized, APT Blocker prompts the Firebox to send the full file, which is executed in an environment that simulates physical hardware for comprehensive threat analysis. Administrators are then alerted if the file is suspicious with a threat rating. Who Are You Drafting for Your IT Dream Team? All of WatchGuard’s Security Services are delivered as an integrated solution within an easy-to-manage and cost-effective Firebox appliance. It’s in WatchGuard’s DNA to deliver advanced IT security technologies for small to midsize organizations and distributed enterprises. We take these enterprise-grade technologies and make them easy to deploy and easy to manage. You face the same threats as enterprise organizations, shouldn’t you have the same level of security?